There has been renewed interest in the five points of Calvinism among many Christians today. But these doctrines are not a product of the twenty-first century. So where did they come from, and why are they so important? 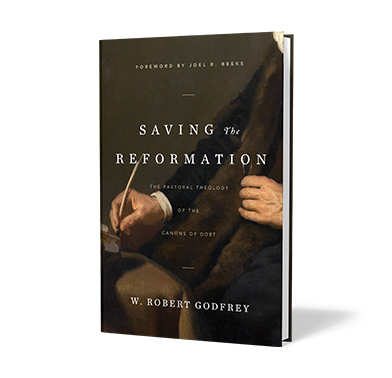 In Saving the Reformation: The Pastoral Theology of the Canons of Dort, Dr. W. Robert Godfrey takes us back to 1618–19 when the Canons of Dort were written in response to a mounting theological assault on Reformed Christianity. Now, for its four-hundredth anniversary, he offers a new translation and pastoral commentary on the canons, equipping the next generation with these God-glorifying truths.